← THE RIGHT CLOCKING FOR EVERY APPLICATION! 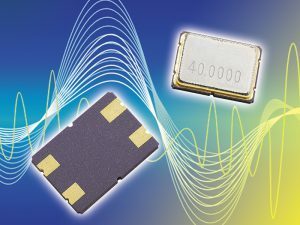 For Bluetooth applications, PETERMANN-TECHNIK offers low cost SMD oscillating quartzes, in the 2.0×1.6mm casing, with low resistances for fast oscillation. The Micro SMD quartzes available in the frequency range of 24 – 60 MHz, can be provided with frequency tolerances at +25°C >±10ppm, and/or with temperature stabilities of ±8ppm@0/+50°C, ±10ppm@-20/+70°C and/or >±15ppm@-40/+85°C. The aging is ±2ppm max. after the first year, and/or ±10ppm after 10 years, and can therefore be used very well in all wireless application, for example Bluetooth, WLAN, ISM-Band to 915 MHz, IoT, KNX, ZigBee, Sigfox, LoRa, Wearables, etc. On request, drive levels up to 200µW can be achieved. The very extensive performance spectrum of PETERMANN-TECHNIK also includes 32.768 kHz solutions (SMD quartzes and SMD-Ultra Low Power oscillators), an in-depth product consultation and very comprehensive engineering services, for quick and safe integration of the quartzes, into the appropriate customer circuits.